A mix of clouds and sun during the morning will give way to cloudy skies this afternoon. High 77F. Winds SSE at 10 to 15 mph.. Partly cloudy skies this evening. Thunderstorms likely late. Low 69F. Winds S at 10 to 20 mph. Chance of rain 80%. 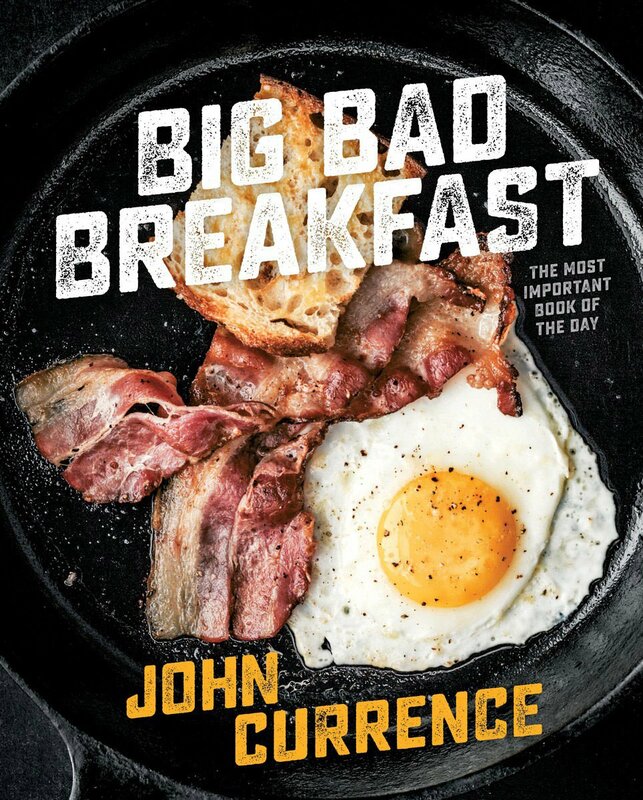 “Big Bad Breakfast: The Most Important Book of the Day.” Author John Currence owns a number of highly successful restaurants in Oxford, Mississippi, among them Big Bad Breakfast, the fountainhead of this cookbook. Like the hangtown fry recipe below, the food is robust, ranging from eye-opener cocktails to egg bowls to breakfast sandwiches, and some of the text is slightly R-rated. But in the cold, dreary months of January and February, it is just what the doctor ordered. Ten Speed Press. $30. Reach Marion Sullivan at mbscooks@gmail.com. For the version we serve at the restaurant, we give it a south Louisiana twist and “double” the oyster by adding roasted salsify, also known as “oyster root” because of its tender texture and creamy flavor. This addition is optional, but delicious if you can get your hands on it. Preheat the oven to 175 degrees. In three separate shallow bowls, stir together the ingredients for the Seasoned Flour, the Egg Wash, and the Seasoned Cornmeal. To make the fry, rub the salsify pieces with the olive oil and sprinkle with salt and pepper. Place on a baking sheet, cover with aluminum foil, and roast until a knife pierces the flesh easily, about 20 minutes. Allow to cool briefly, then cut into 1⁄2-inch pieces. Set aside. Line a baking sheet with paper towels. Pour 2 inches of vegetable oil into a shallow skillet and heat over medium heat to 375 degrees. One at a time, pat the oysters dry and dredge in the Seasoned Flour, then dip into the Egg Wash, and finally dredge them in the Seasoned Cornmeal. Drop the oysters into the skillet, 1 at a time, being careful not to crowd the skillet. Fry until golden brown, 2 to 3 minutes. Remove from the oil with a slotted spoon and drain on the prepared baking sheet. Transfer the baking sheet to the oven to keep warm. In a bowl, stir together the eggs, milk, and Creole seasoning with a fork. Heat a separate skillet over medium heat for 1 minute. Add the bacon and cook until just about crispy, about 4 minutes. Remove from the pan with a slotted spoon and drain on paper towels. In the same pan, add the onion, bell pepper, and garlic and saute until the onion begins to soften, about 3 minutes. Add the salsify and cook until just warmed through. Pour the egg mixture over the vegetables and allow to sit, without stirring, for 15 seconds. With a silicone spatula, push the eggs from one side of the pan gently toward the other side, then tilt the pan and allow the uncooked eggs to fill the void. Allow the eggs to sit again, without stirring, for 15 seconds, then push the eggs to the opposite side and tilt the pan again. Run your spatula around the edge of the pan, and just as the eggs are almost set but still a tiny bit runny, add the bacon. Season lightly with salt and pepper. To serve, spoon the eggs onto a platter and top with the fried oysters, serrano, and a few drops of hot sauce.